University of Engineering & Management, Jaipur has been ranked as the topmost (rated Number 1) University of Rajasthan for 3 consecutive seasons by the NPTEL examination initiative of the Ministry of HRD, Govt. of India. 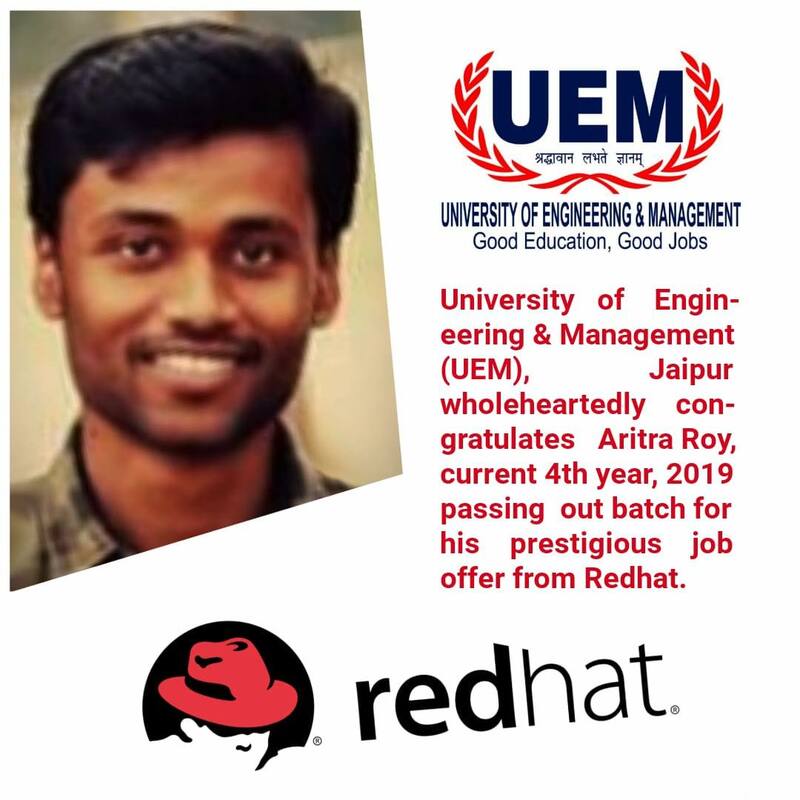 The students of the University of Engineering & Management (UEM), Jaipur grab excellent placement offers again in 2019. The placement stands at 98.63% in February, 2019 (with 7 months of placement season still remaining). Highest salary offer from UEM-IEM group was Rs 40 lakhs per annum. 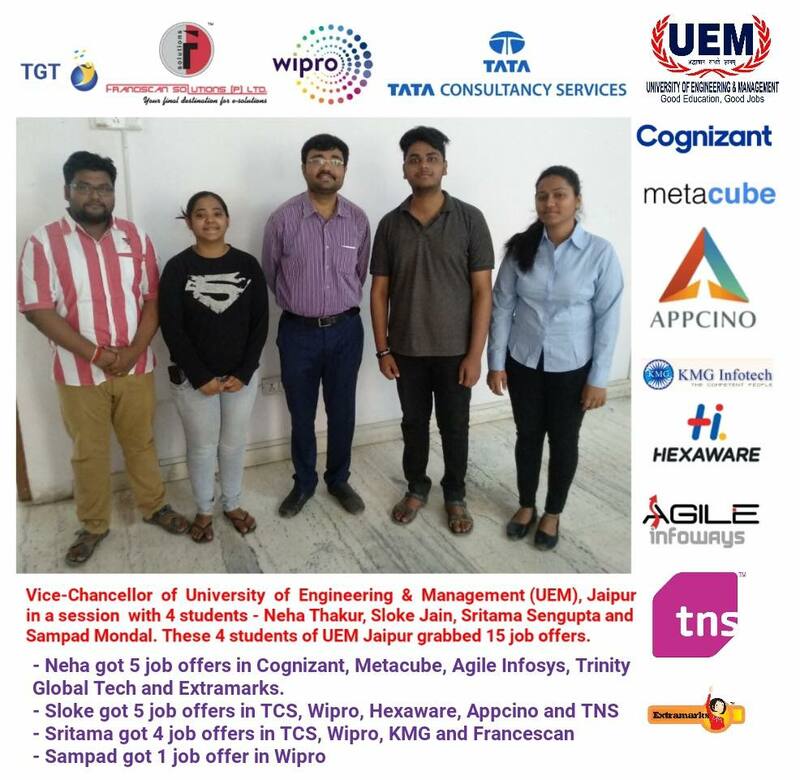 TCS, Wipro, Cognizant, Aimil Ltd, AGILE Infoways, Appcino, Francescan Solutions, MKC Infrastructure, TGT, TNS, Kreeti Technologies, Linkruit, Ramya Reprographic Pvt Ltd, Prototech Solutions, Atmecs, Aptara, Elektrolite Power, Ongraph Technologies, Tractel, Peol Technologies, 221B, Baker Street, Mangal Electrical Industries Pvt Ltd, Bergen Group, KMG Infotech, Smart School Education Pvt Ltd, Hexaware, Watertech Engineers Pvt Ltd, In Time Tec Visions Pvt Ltd, Metacube, NETpro Systems, Swajal Water Pvt. Ltd, Cape Electric, Sood Tower and Constructions, Simplyforce Technology Pvt. Ltd, Tinytots Paradise, Marketing Mindz, Sunrays Image Technology, CapitalVia Global Research, Global Logic, Rajdeep Info Techno. Rest all students got 1 job offer at least. UEM Jaipur city office, 211, 2nd Floor, Apex Tower, Lal Kothi, Tonk Road, Jaipur. 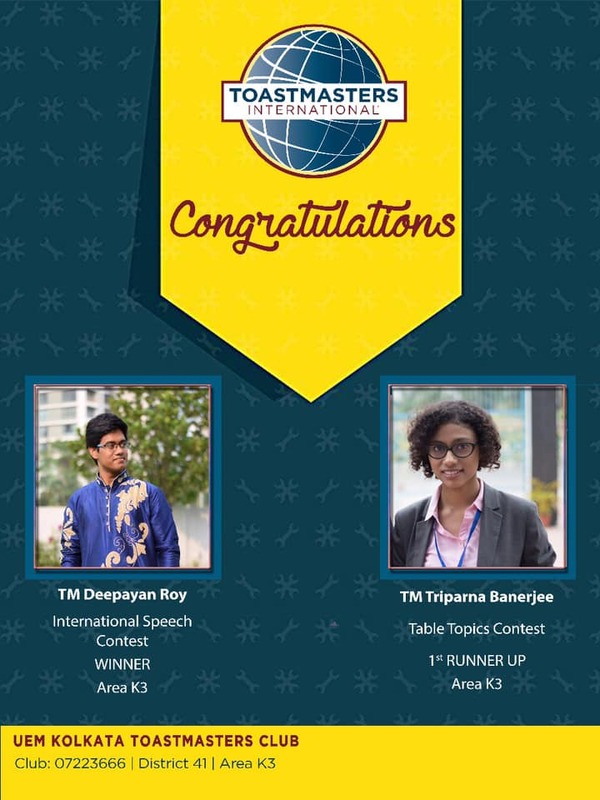 — with Sparsh Dutta, Parichita Ray,Sritama SenGupta and 23 others.